Users who have installed Apple’s watchOS 4.3.1 beta are seeing warnings that older app may no longer work with future versions of the Apple Watch operating system. This suggests apps built using the original watchOS 1.0 SDK could be depreciated with the release of watchOS 5. 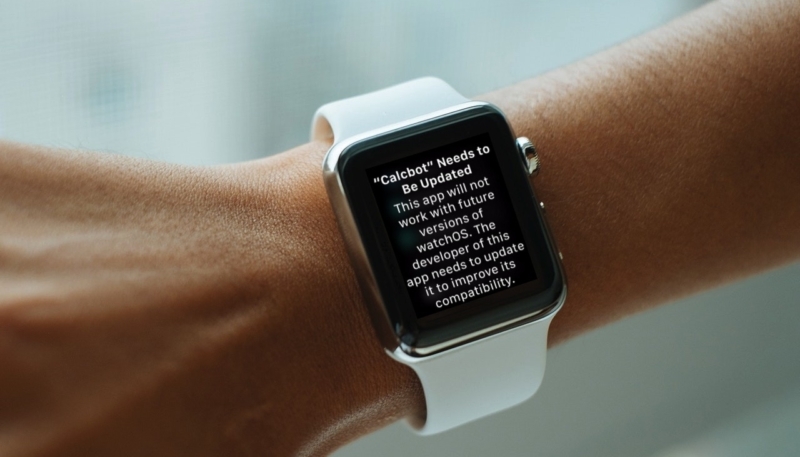 In the latest watchOS beta, attempting to open legacy watchOS 1 apps triggers a message notifying users that legacy titles will soon be incompatible with Apple’s wearables platform. It also includes some light prodding aimed at developers who want to continue to market their native Watch wares on the App Store. “The developer of this app needs to update it to improve its compatibility,” the warning reads. Once a user taps the “OK” button the app opens and runs as normal. In November, Apple told developers that it will stop accepting watchOS 1 app submissions in 2018. As of April 1, app developers have been required to use watchOS 2 or newer software development kits to build their existing apps, while new apps are required to have been built with the watchOS 4 SDK or later. While Apple hasn’t made a formal announcement as to end of life for watchOS 1 apps, the announcement could come with the debut of watchOS 5, which is expected to come at the Cupertino firm’s upcoming WWDC 2018 in June.